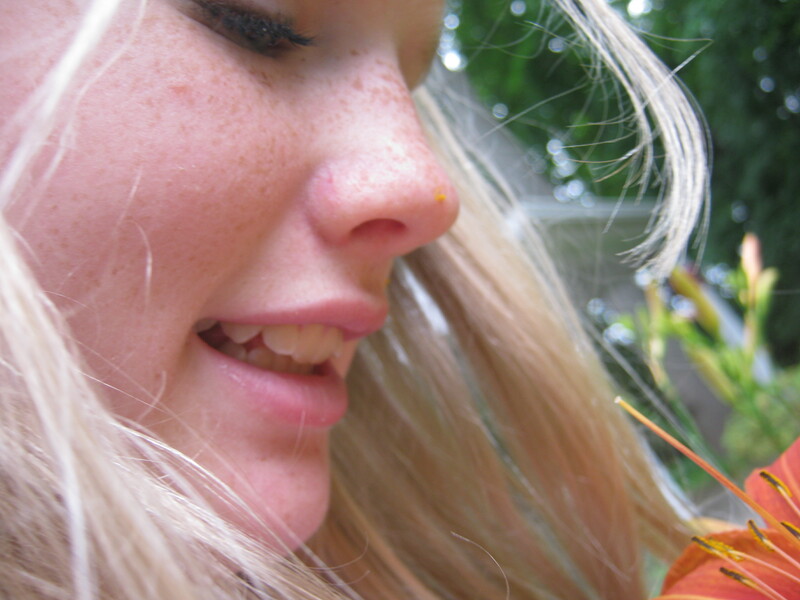 I have a budding photographer at my house–my daugther Anna. She’s especially fond of taking pictures of nature. I know I am her mom and prejudiced to like all of her work, but I think she has a good eye. She already knows that in order to take a good shot you often have to get close to your subject or contort your body in all sorts of poses to capture just the right angle. One other clue that tells me she’s on the right track is that she takes lots of photos, which professional photographers all say is necessary to find the one gem out of hundreds of photos. So for this post I am showcasing some of Anna’s pictures of creation in our own backyard. And remember, this is your last chance to post a comment related to creation and have your name entered in the drawing. I’ll draw for the winner this Saturday, the 23rd. Enjoy the photos! 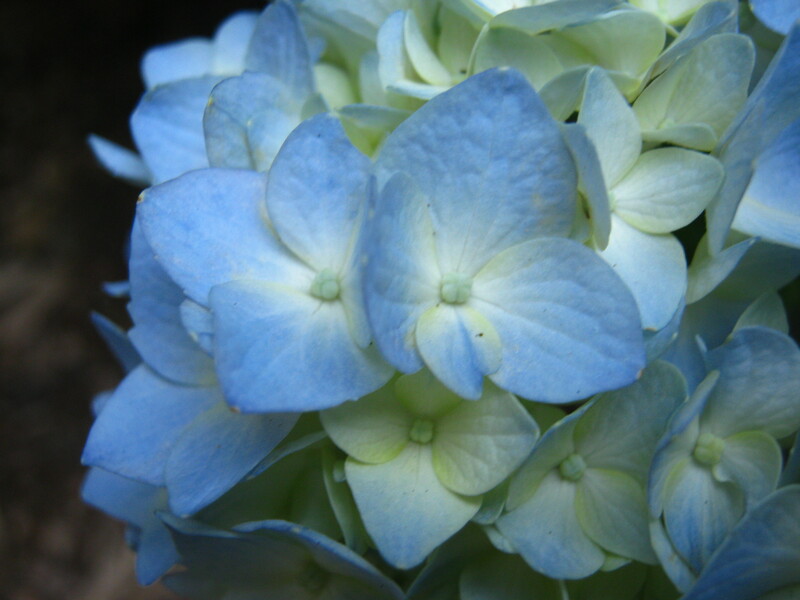 I love the hydrangea! It’s my favourite flower. That day lily looks just like the ones in my yard! Those are beautiful flowers and its exciting to see Anna finding a hobby she loves. I started into photography when I was in high school (still have many of those photos) but 20 years ago the price of buying film and getting it developed limited how many pictures I could take. I’m always thrilled by the freedom we have now to just take and take photos, and cost doesn’t increase. Beautiful photos Anna! I love the richness of color. 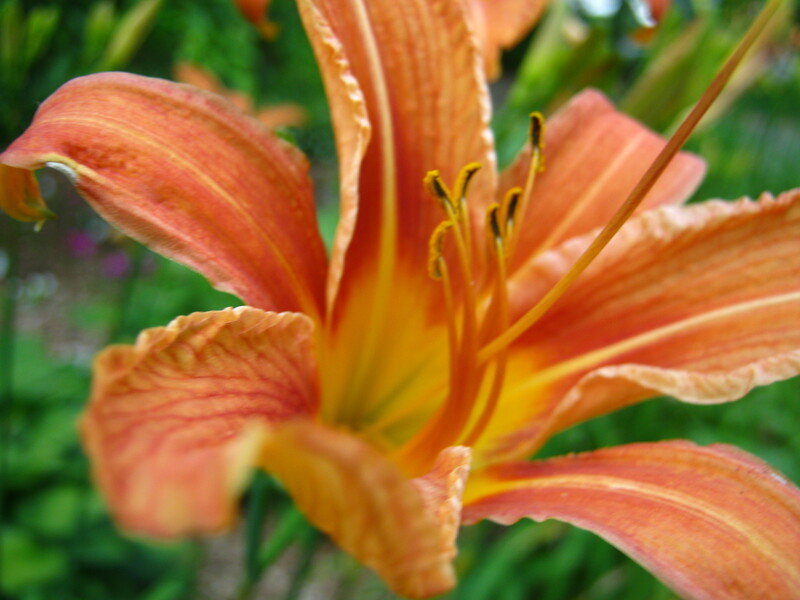 The day lily also looks like one of the many in our backyard. Thanks for posting Alicia, it is always good to hear news from your family and what God is teaching you. Miss you friend–would love to share a cup of coffee with you!